Product code: ES1408 Categories: Sold Items, Sold Rings. 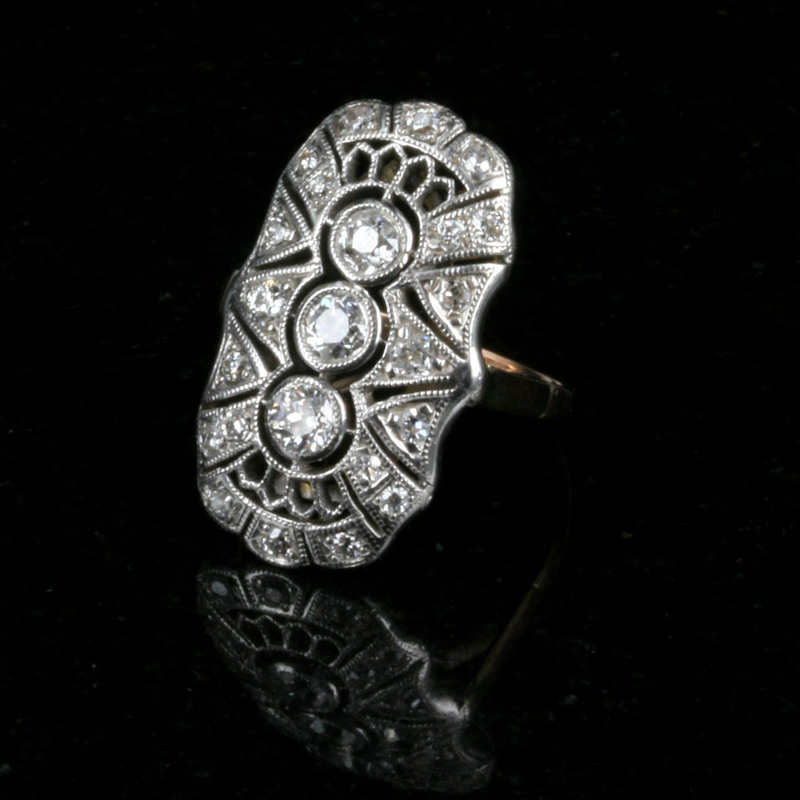 Now this is an Art Deco era ring dating from the 1920’s that will always get attention and be admired. This stunning diamond ring not only sparkle due to the diamonds, but has so much detail. 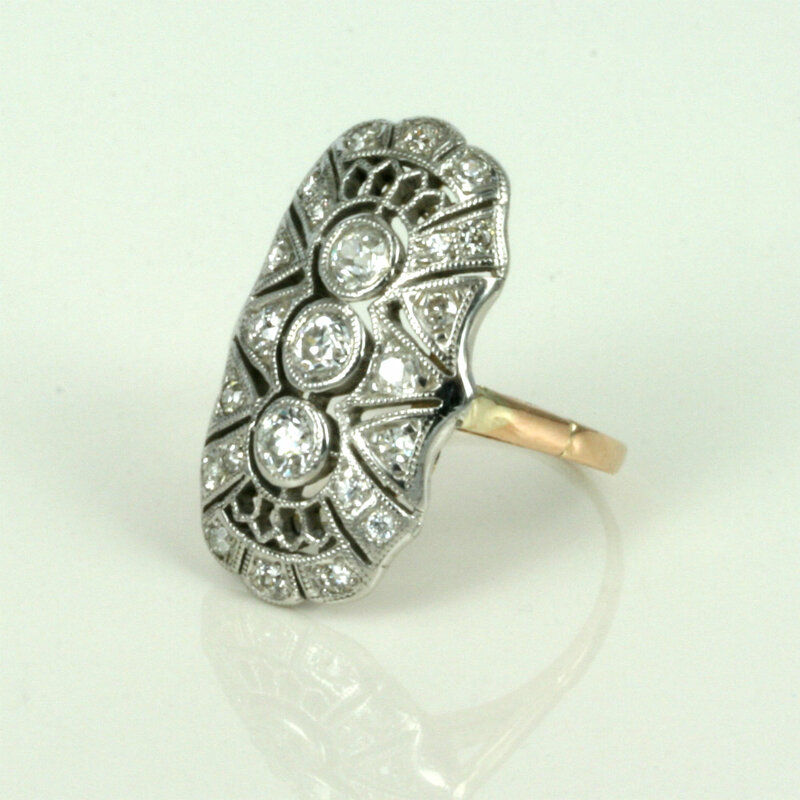 Hand made in 18ct yellow and white gold, at the top the ring measures 24mm in length by 14mm wide and looks magnificent on the finger and would also make a very special and unique example of an Art Deco diamond engagement ring like no other. The ring is set 3 main diamonds running down the centre, then there are 20 more diamonds that all sparkle beautifully. 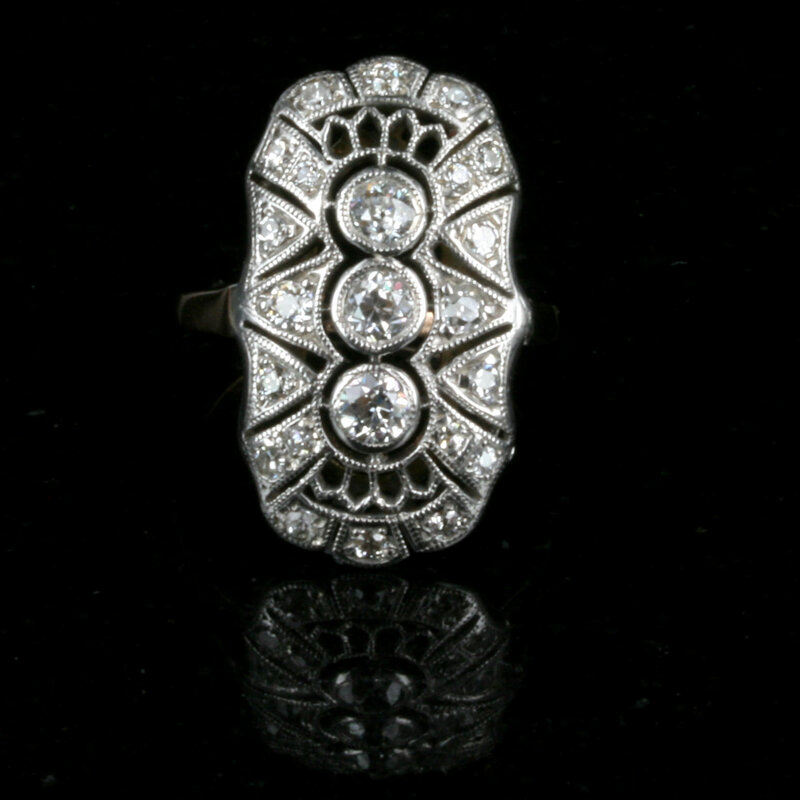 The total diamond weight is 0.85ct in weight and are milgrain set which is typical of Art Deco jewellery where the setting has the very elegant and refined crimping around the setting.